Chatopus develops software applications and provides software consultancy. We are based in Hong Kong and have local and overseas developers. Photo Siege allows downloading tagged photos and photo albums from Facebook. You can download your own and your friends' photos. Once the photos are downloaded, you could view them without an internet connection or set them as wallpaper with your Pictures application. You could also transfer them to your PC for archival purposes. Simply login with your Facebook account and start downloading photos with a single tap. 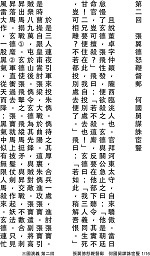 Readopia is a Chinese eBook reader. You can read free eBooks (updb or UTF-8 txt format) from the internet, e.g. Haodoo (好讀網站), SFACG.COM (SF互动传媒网), Project Gutenberg. Supported platforms: BlackBerry PlayBook, BlackBerry 10 (BB10). 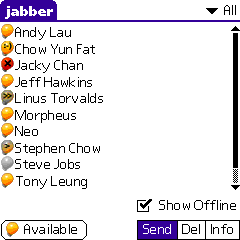 Chatopus IM is a Jabber/XMPP client for instant messaging (IM) on the Palm OS platform. The client adds feature-rich instant messaging and presence functionality to Palm OS devices, enabling Palm users to instantly communicate to other wireless and wired users. © 2012-2014 Chatopus. All rights reserved.